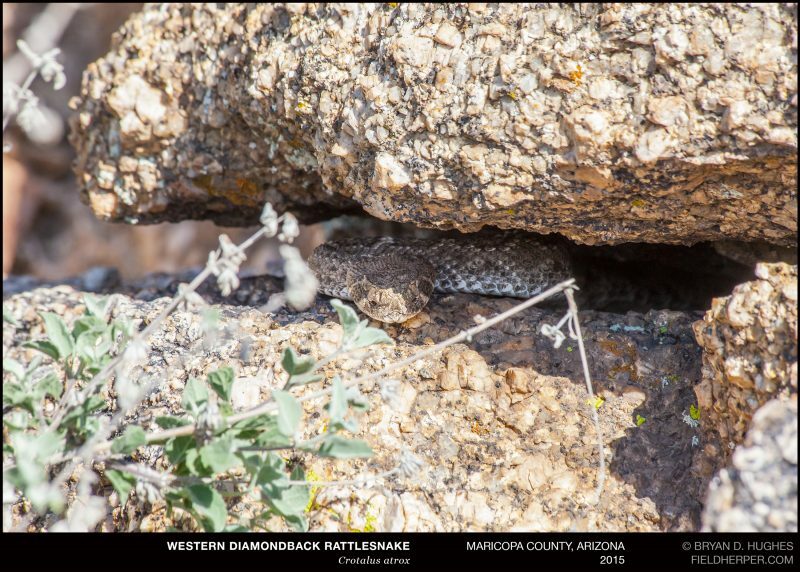 We found this solo diamondback coming out of a crack near where a Blacktailed rattlesnake was also found denning … though further away than expected. Interestingly, even though it is in still in the low valley technically, the edge of where dens are North-facing (or otherwise indiscriminate in aspect in relation to the winter sun) seems to be right in this area, around 2,400′ in elevation. This entry was posted on Thursday, February 23rd, 2017 at 8:01 am	and is filed under Behavior, Photography, Snakes. You can follow any responses to this entry through the RSS 2.0 feed. You can leave a response, or trackback from your own site.